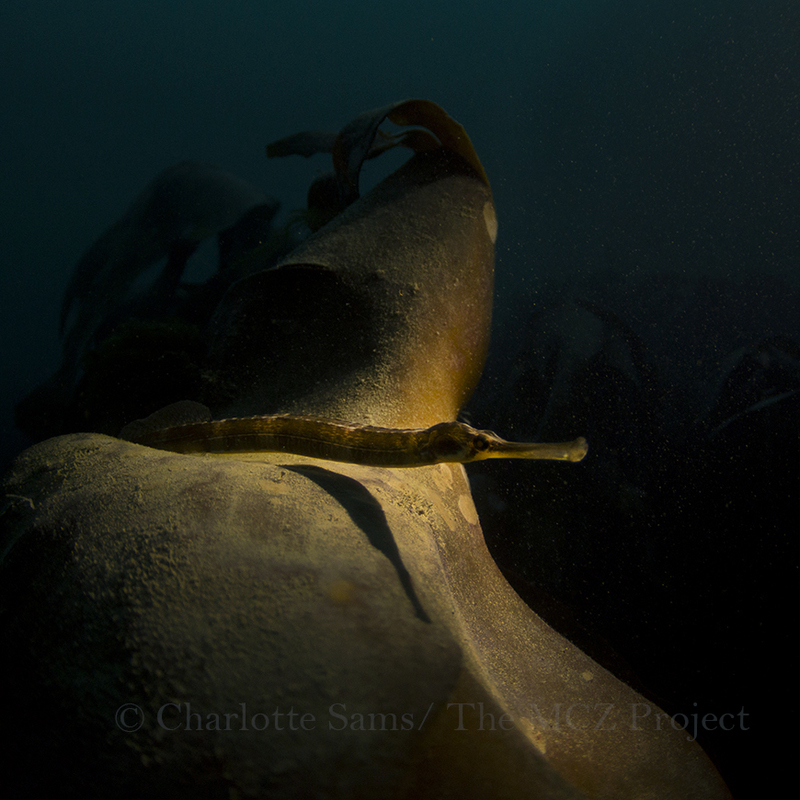 This project began from a strong desire to share passion of marine life, and a wish to reach and educate as many people as possible, about the important life that is right on our doorsteps, and so often ignored. 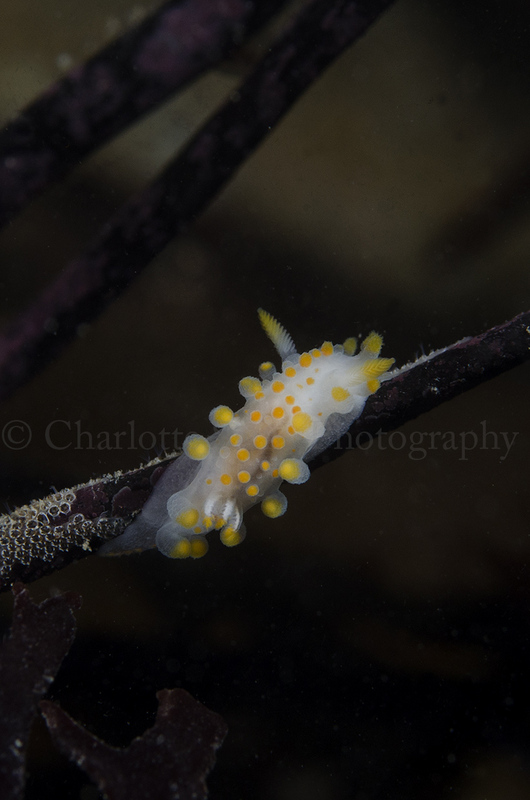 The idea of this project was to travel as many places as possible, and show a variety of marine life, that was either in the process of being awarded the marine conservation zone status, or may have already been awarded it. The label of Ma rine Conservation Zone varies from each site, their protection specifics are decided upon through assessment of the habitat and species within it. When this project began, there were already some 27 zones in place, and now, 1 year on, there have been 23 more added to this number. Considering the huge amount of coastline we are privileged to have around England, this number of 50 zones is still fairly low. The decision on the final round of zones is still not confirmed until 2016, and so you could say that this part of the project is still ongoing. 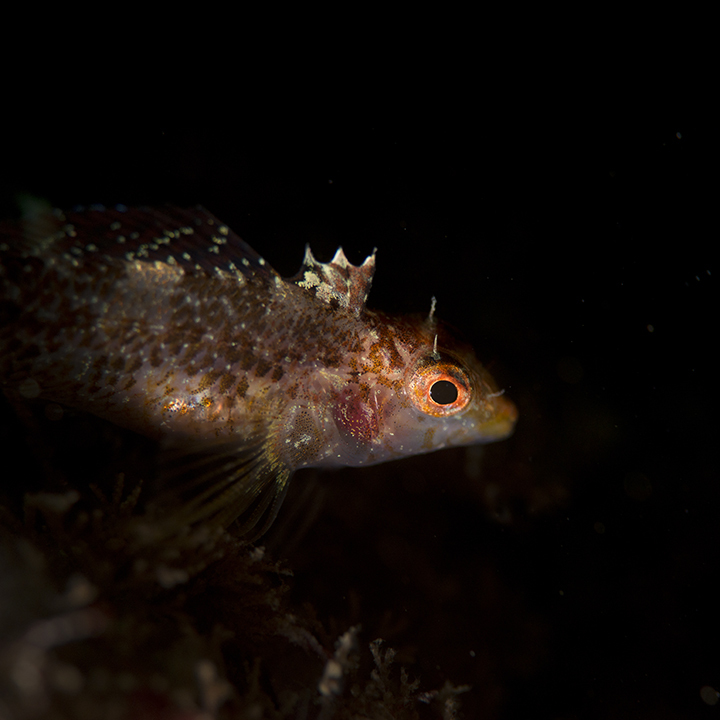 The other main driving force behind an underwater project was not to just highlight the areas that need protection, but also just to engage viewers with the ocean. It’s no secret that in recent years a growing number of children, and adults, are disconnected from nature. Furthermore, it’s arguable that many people are even more disconnected from marine life, and what’s under our seas, purely because it is ‘out of sight, out of mind’. 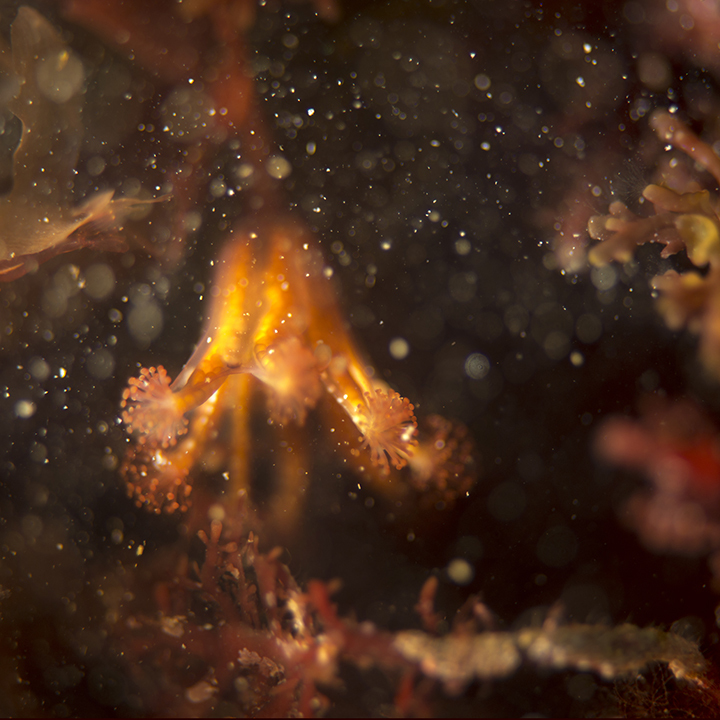 By bringing the marine life out of the water with images, showing the colourful species and habitats, the project aimed to gain viewers interest in interacting with nature, and more specifically the ocean, more. Marine life is so intriguing that if one is only given the opportunity, it is easy to become hooked, to start to become fascinated with this underwater world, to love it, and to care about it. 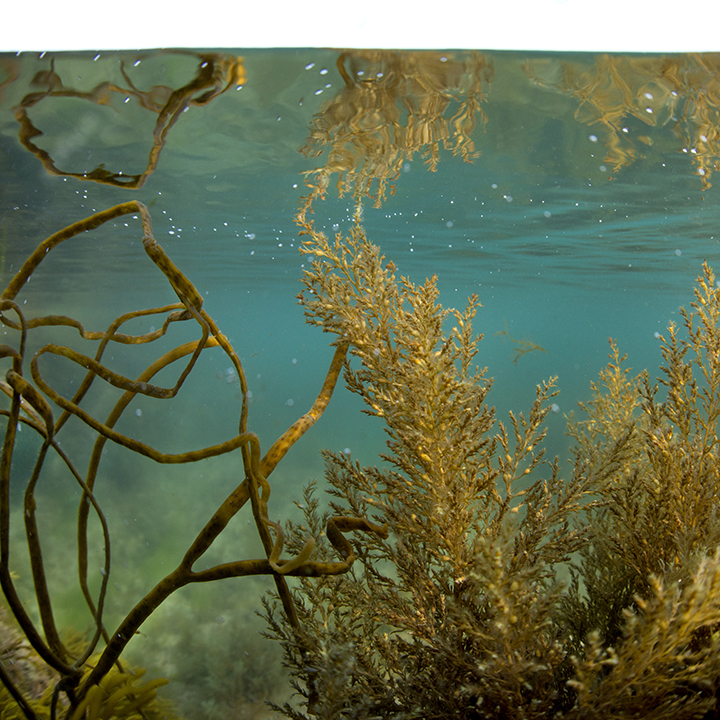 With these thoughts began the origin of the Marine Conservation Zones project, however the practicalities of it were a little more complex. The huge variety in the designated zones, and the possibilities of documenting so many different sites and the complex life within them is almost overwhelming. The potential for covering this project is huge, one that could be documented over many years and still leave much to be explored. To make it more manageable, more accessible, local zones were selected as the photographic sites. Towards the beginning of this project, many of the areas visited for documentation were deeper, scuba diving sites, accessed via rhib or other dive boat. 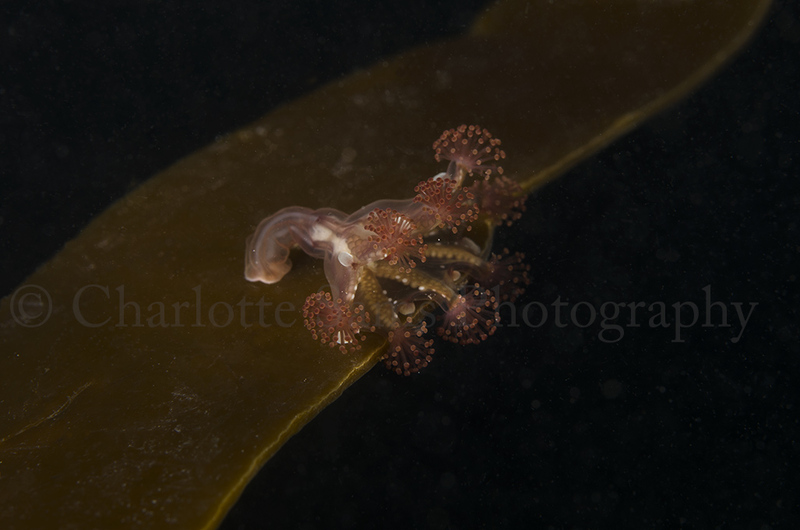 These habitats are visually different to the shallower shore sites, but often the life within them is found right up to the shoreline, such as the stalked jellyfish, or nudibranch species, which can be found from rock pools, to deep wrecks. As the project developed however, it felt somewhat contradictory to try encouraging people to visit the sea, and yet be sharing images of depths and places only reachable through boats and scuba equipment. 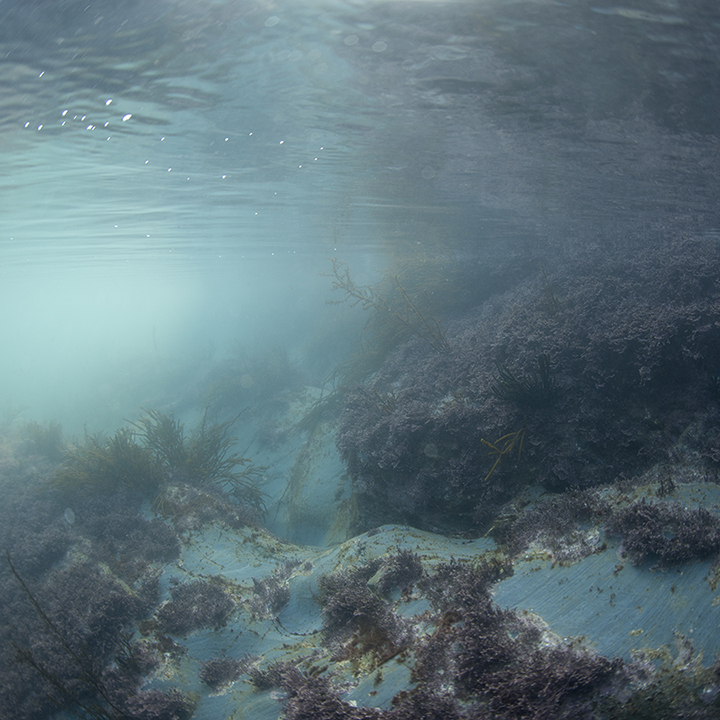 With the limitations of poor weather, diving access, and this thought, it seemed right to continue investigating the shore based marine conservation zones; those sites which everyone can enjoy, not just the lucky few divers. When visiting certain areas for the first time, such as Padstow and the Surrounds MCZ, it was clear the potential for imagery was vast. The natural shapes and colours within this one area were surprising even to myself, and hours could be spent just in the shallows of the coastal rock pools. 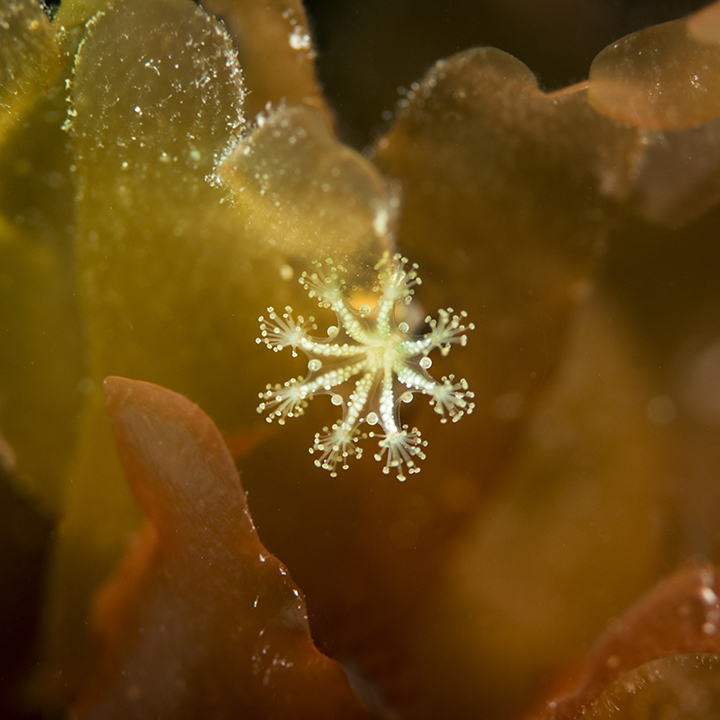 From being inspired by the beautiful contours of the rock formations, next to the bright colours of the seaweeds, even in the cold of winter, confirmed that there are always surprises and things to see in the ocean, no matter where you go. Even when visiting beaches and rocky sites on moody, rainy, days, the marine life still held its colour and form, affirming my own love for this almost hidden world. At this point, the project’s direction began to take a more specific path. By selecting more of the coastal zones, and focusing on the patterns and colours available within them, the images for this story began to follow a more distinct style. 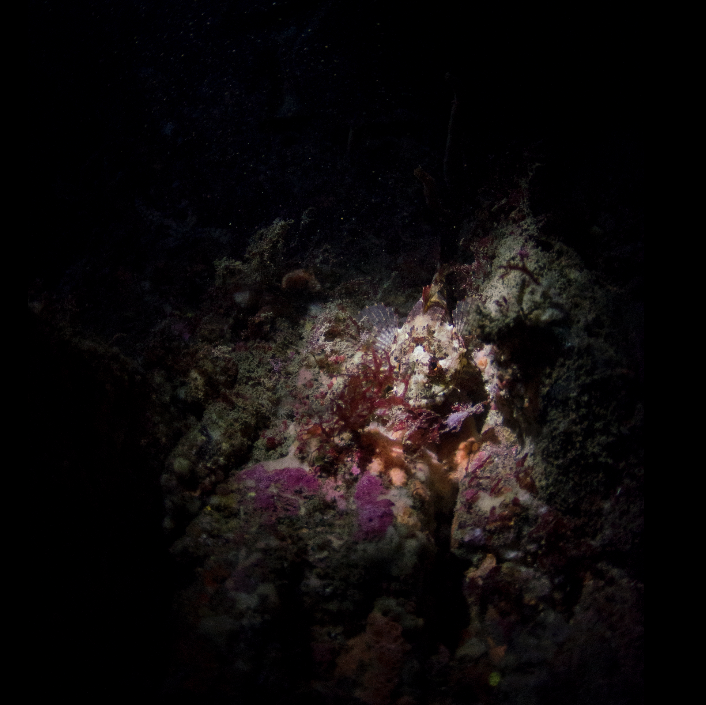 Working in shallow water, not only meant a ream of beautiful species available (reefs are more active in the first 10m of water than anywhere else), but also opened up the possibility of experimenting with the light a lot more. 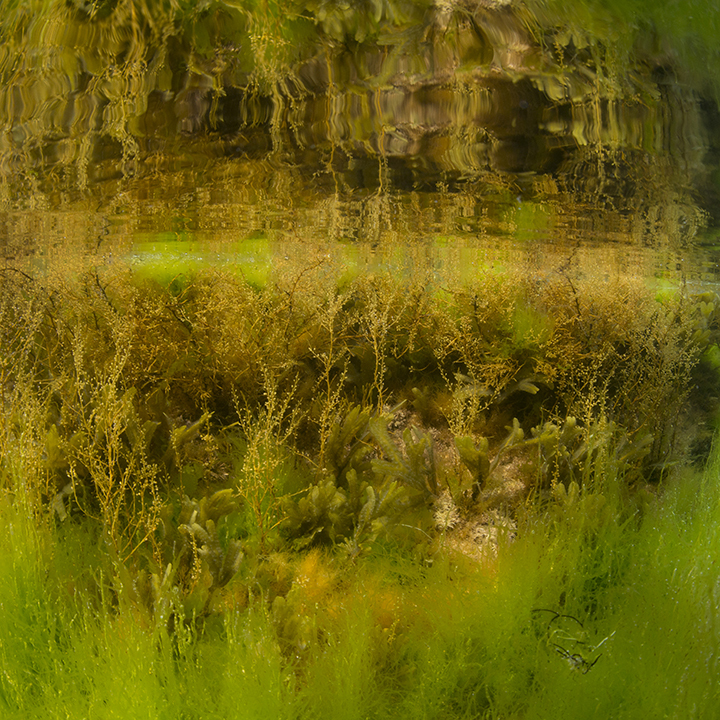 The water surface was usually calmer inshore, and therefore acting as a mirror, reflections of the underwater world were something I grew interested in. 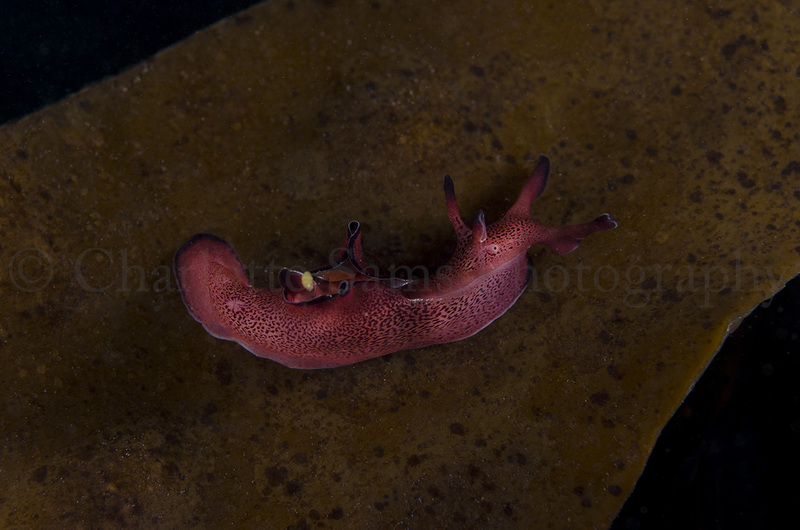 Moreover, I encouraged myself to not get obsessed in finding rare species. 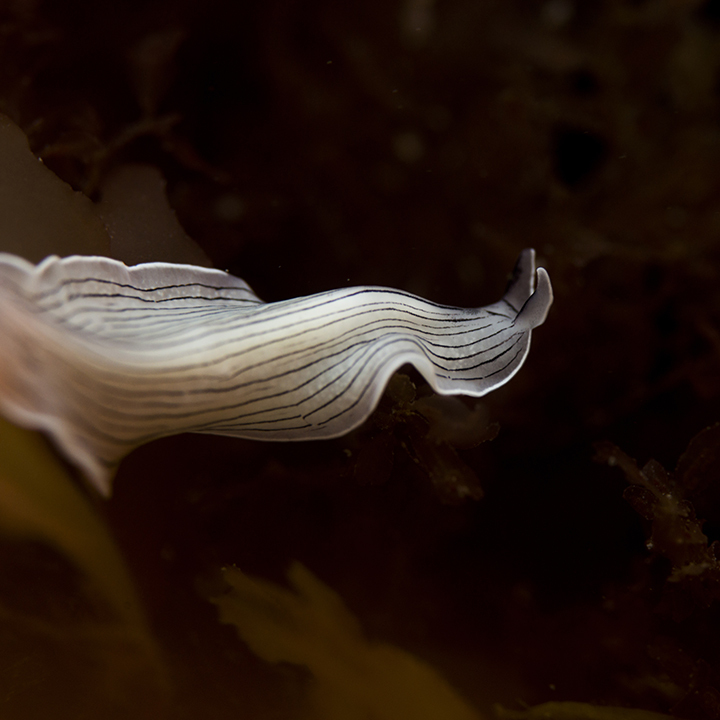 Even the common marine life can be complex in its physical form; the regularly viewed species can be showed in a new light when composed properly. 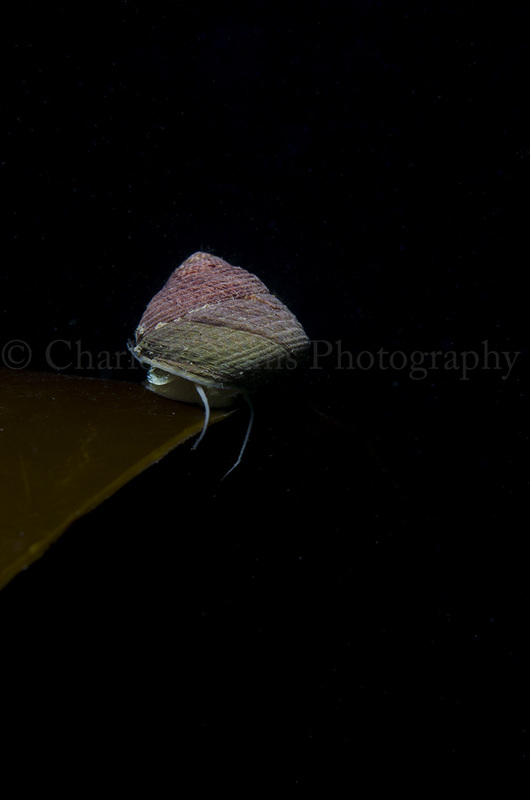 The reality of finding rare species when diving/visiting these zones is slim, and the common species are always underestimated, it makes no sense to simply disregard something that is beautiful, because it is common. I had originally begun to document not only the underwater scenes but also people interacting with them too, surveying, snorkeling and diving. 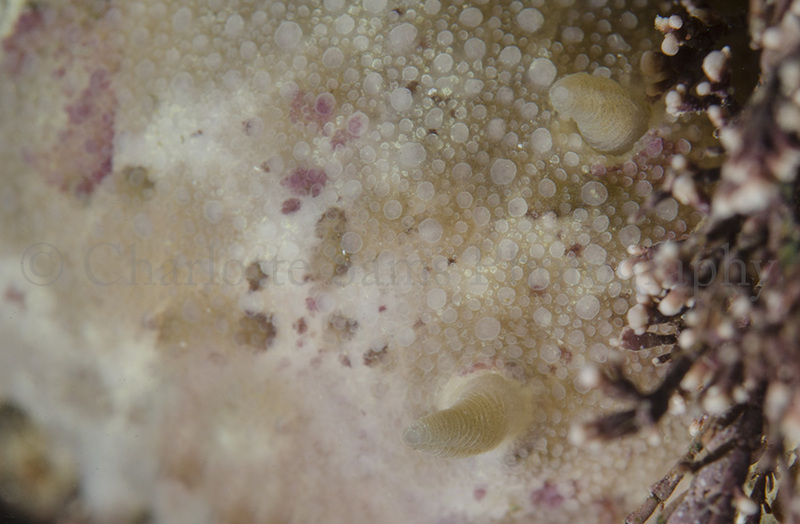 I discovered that though these images were interesting, they weren’t as powerful visually as the more simple compositions, focusing on just the marine life. These images would feature in a larger documentation of the project, but a stronger sequence was formed from being much more specific in location and style. 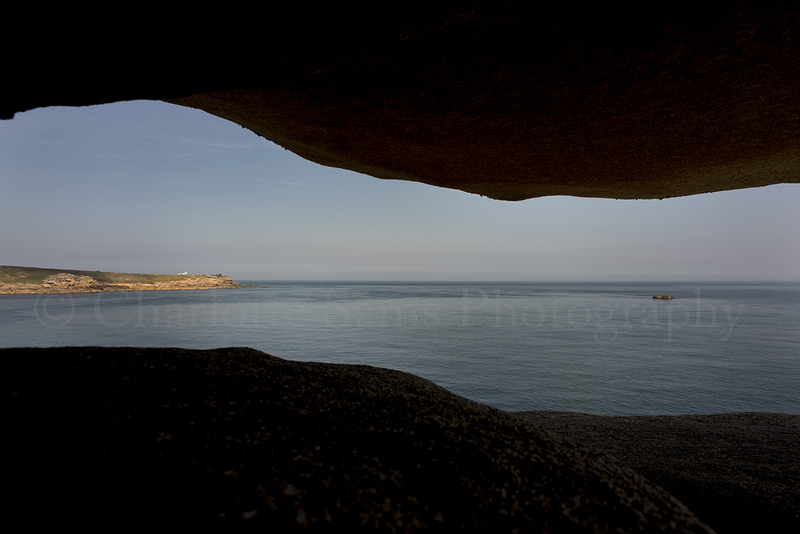 The choice of a square crop as opposed to the standard rectangular image was for a number of reasons, to simulate a window, a view into the underwater world, and also to try and highlight the focal point of each image, more obvious in the species as opposed to habitat photographs. By constraining the image to the square shape, it highlights the symmetry within various images, and adds simplicity reminiscent of analogue photography to the overall aesthetic. 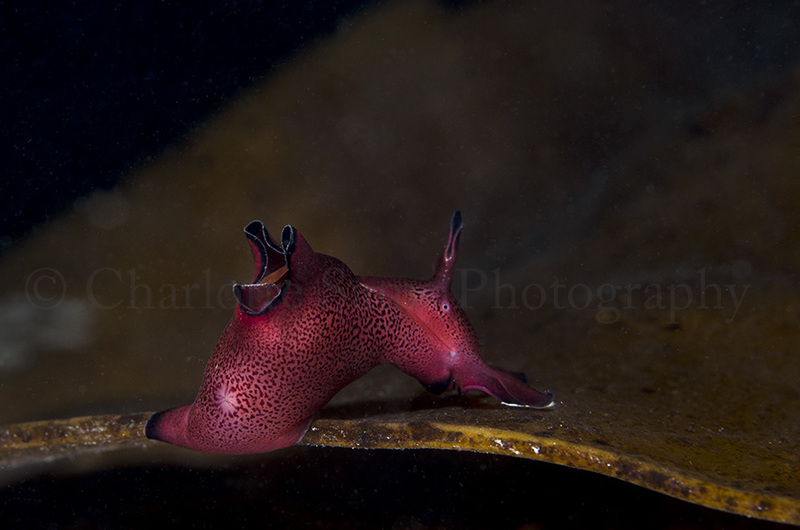 The aim of this series of images was always to show variety, in shape, colour, and species. I want there to be something for everyone to appreciate in the sequence, to appeal to as many people as possible. Ultimately, the images taken were through my own love and appreciation for these scenes. 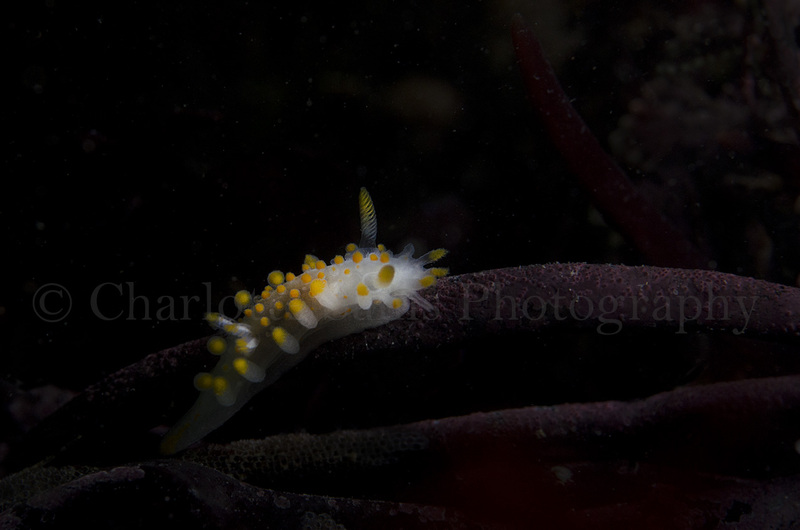 Through forcing myself to look closer at the marine life I may have gotten used to, I emphasised my own passion for the sea, and can only hope that this is conveyed by the images too. From here, I hope to eventually develop an exhibition of these images and this story, though I would like to continue to work on this project further. As mentioned before, it is still ongoing, and I believe there is much yet to discover. In the meantime, I will be sharing my stories, images, and knowledge of the story through social media. 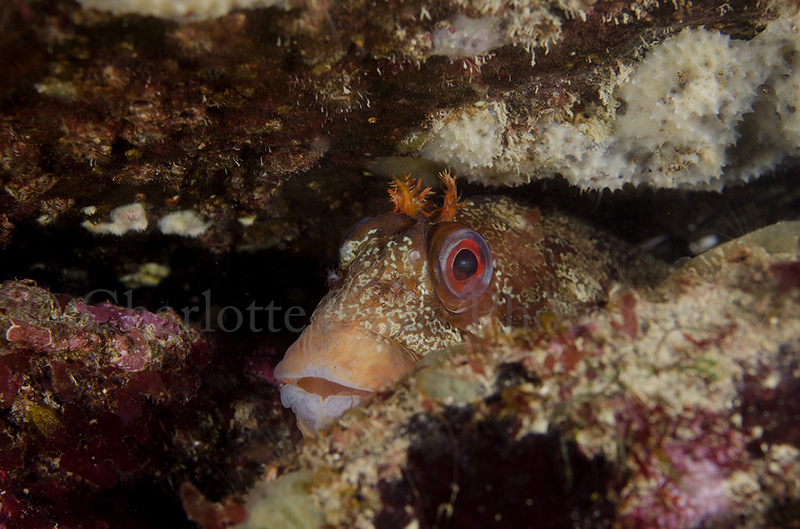 Photography is a wonderful tool for conservation and education; and just the simple fact of sharing snapshots of what life underwater can look like can encourage more positive thinking towards marine life, and eventually protection for it too. The first step towards protection is creating a reason to care, and that’s what photography can do. You can’t argue with an image, and every image in this sequence is a statement of what is accessible to everyone. 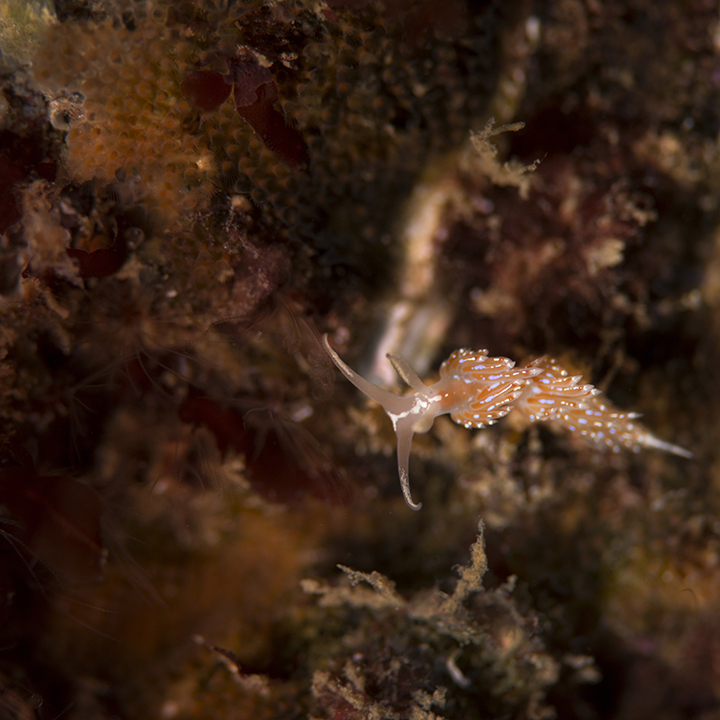 Photography can change people’s minds about what may have been unknown before, and by focusing on these simple bright images, the underwater world is made available to everyone. Yesterday I had a wonderful time, surveying on the Isles of Scilly steamship for ORCA. This involves a team of three of us volunteers standing out on the bridge for the duration of the crossing, surveying for marine life and rotating through various roles. I got up at 5am and we took the 7am ferry from Penzance, and left on the 5.30pm one, meaning a fairly long day but also lots of free time on the islands! If you want to find out more about ORCA and what they do click here. The sea was so beautifully flat, and was ideal conditions for any sightings. The journey over was a little busier than the one back, but the total sightings of the day was as follows: 30+ barrel jellyfish (localised to the area nearer to Penzance), 1 sunfish (mola mola), 3 rissos dolphins (i was on the other side for these), a few grey seals, common dolphins (also missed these! 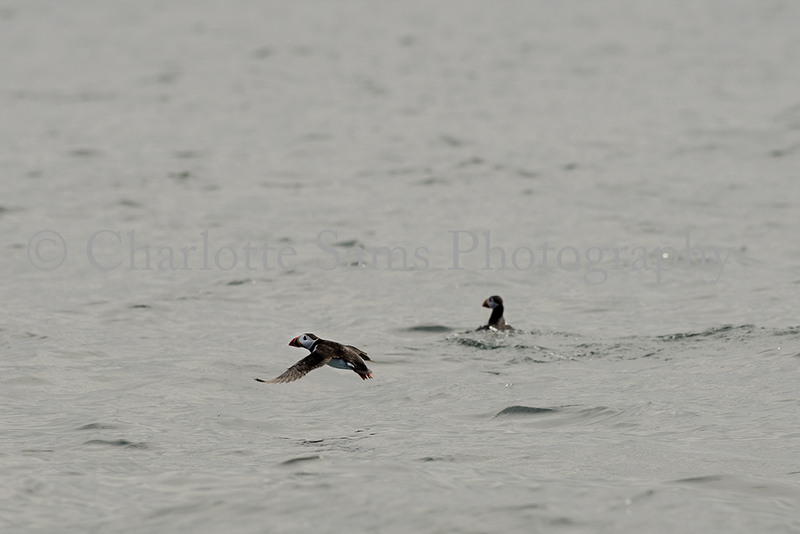 ), and plenty of various seabirds (Gannets, gulls, razorbills, guillemots, fulmars etc). Note – please click on any of the images featured below to view them at larger size. 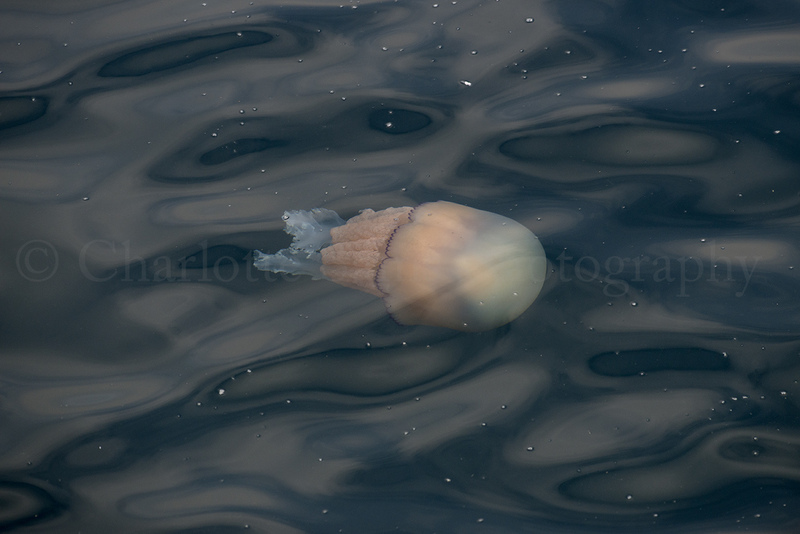 Barrel Jellyfish from the ferry. I think this gives an idea of how calm the water was, no white crests in sight at all, wonderful! 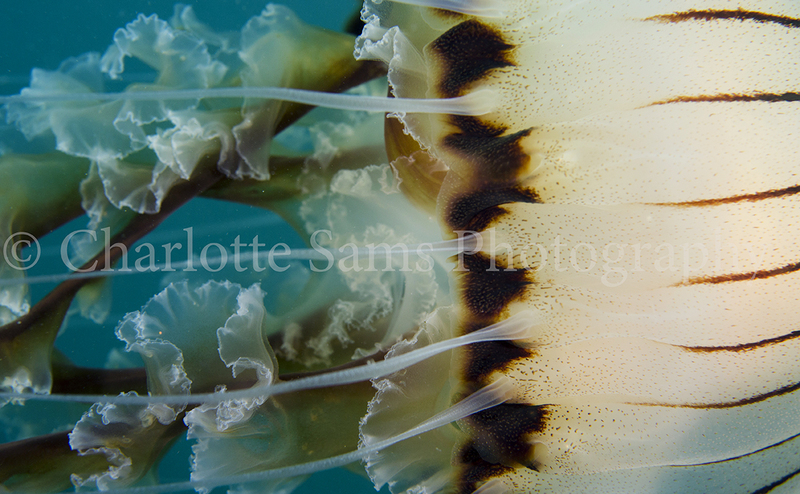 These jellyfish have been documented all over Cornwall recently in their masses, I’m hoping to see one whilst in the water next to photograph it in it’s environment and at eye level. Mola mola. Probably around the area because of the multitude of jellyfish, a brief but pretty awesome sighting. 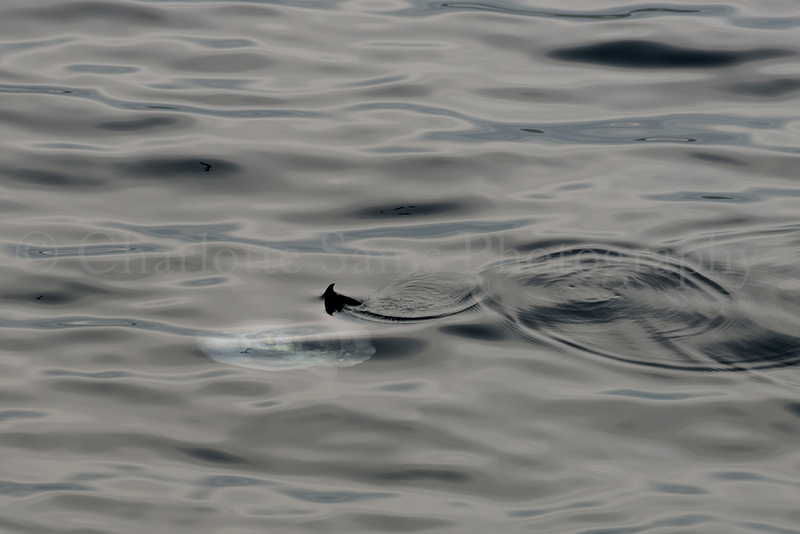 Sunfish are utterly strange looking fish, and this image just about shows their large flat body close to the water surface with the fin poking out, leaving behind gentle ripples. 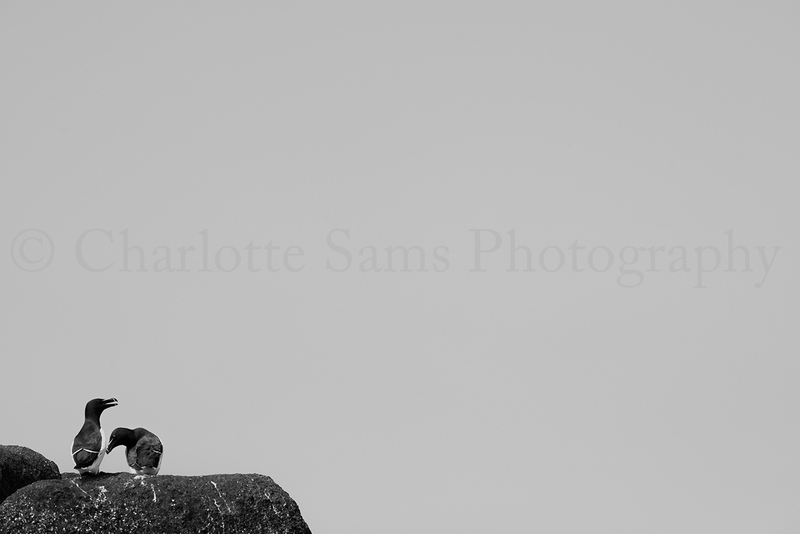 So, the other half of the day was spent adventuring round the Isles of scilly, firstly by taking one of the wildlife watching boat trips to the western rocks (obviously we couldn’t get enough of being on boats looking for wildlife). This trip apparently only goes on extremely calm waters and is quite uncommon so was definitely worth it to see a different aspect of the islands. Puffins ahoy! These little birds have begun to arrive on the islands now, was very good to see a few of the sea parrots about. 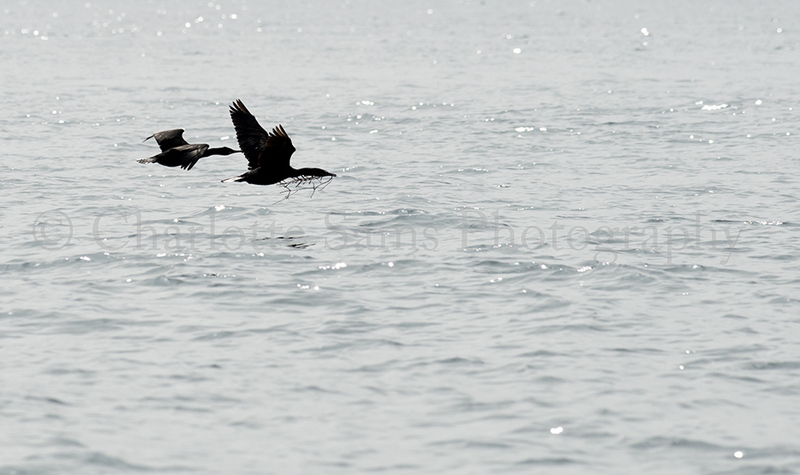 A pair of shags, carrying nesting material across the waters. 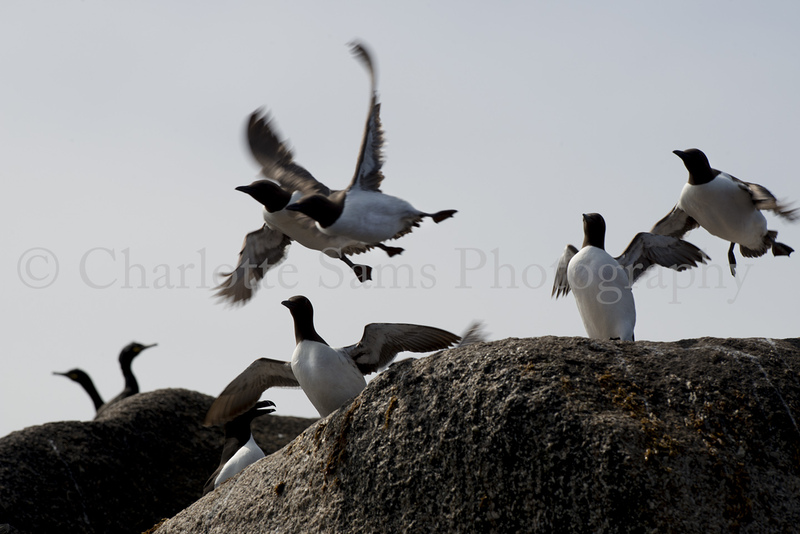 Trying to get a bit of movement into the image; guillemots taking off from their perch. 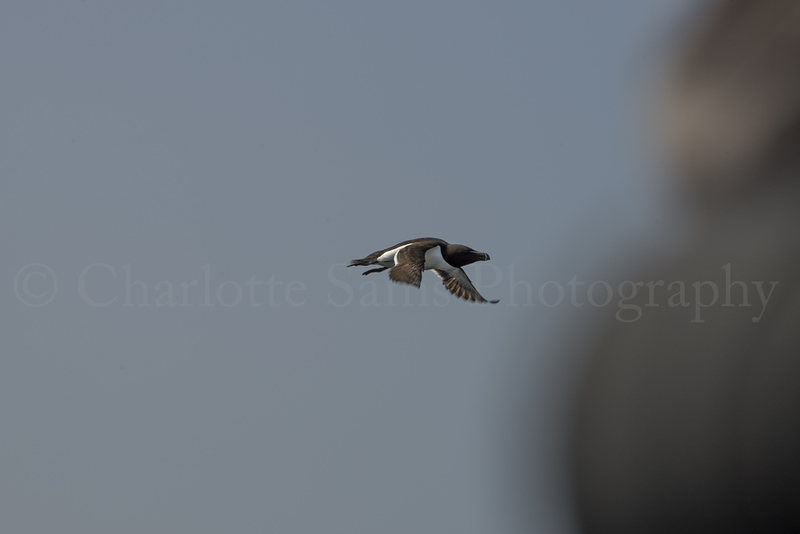 I also met up with photographer Ed Marshall on the island, (you should check out his work here) and he very kindly got in front of my lens whilst I was photographing this razorbill…but you can still see the razorbill, and they are really quite attractive birds. We were quite lucky to see them from such a close distance. 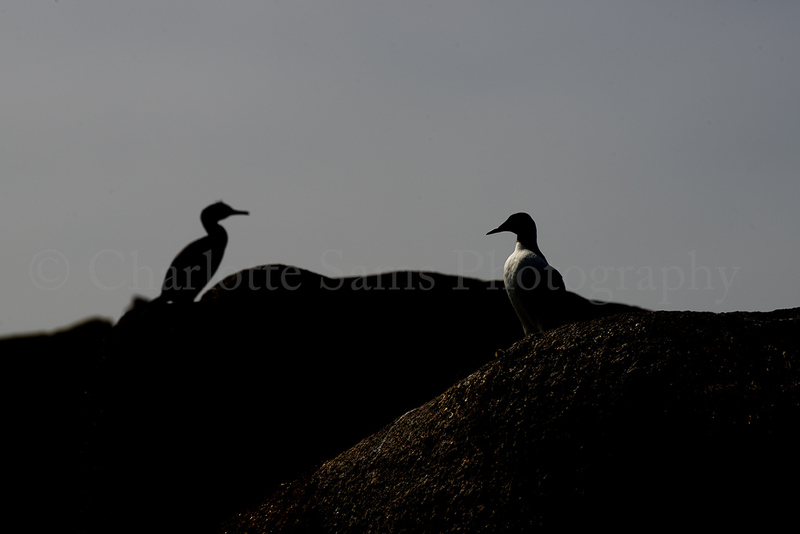 Razorbills in monochrome. The sun had come out by this point and the light was quite harsh as it was nearing midday, so I found this image looked much better in black & white, simple colours to compliment the simple composition. 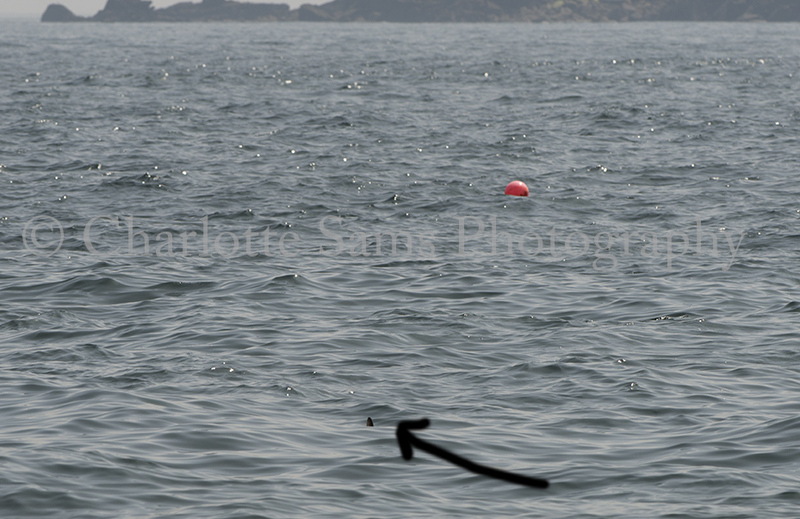 This next blob is another sunfish, maybe not believable photo evidence but it’s true! To see two in one day was very cool. This was also followed by the appearance of some harbour porpoises, I chose not to include these images though as they were just a load of fin shots. But yes for some reason I still included this evidentially fantastic image of a mola mola. Back on St Mary’s, we explored a little more around the coastline, and came across some amazing rock formations. These boulders tsacked on top of one another had created a kind of a ledge with an overhang, looking straight out to the ocean – beautiful! It also made a kind of a frame around this scene, I promise it’s not just a bad panoramic. So all in all a really beautiful day, and thanks to Dan, Hazel & Ed for sharing it. I didn’t spend as much time photographing as I’d planned, but enjoyed simply being outside and walking around the island, and wanted to share that in this post. 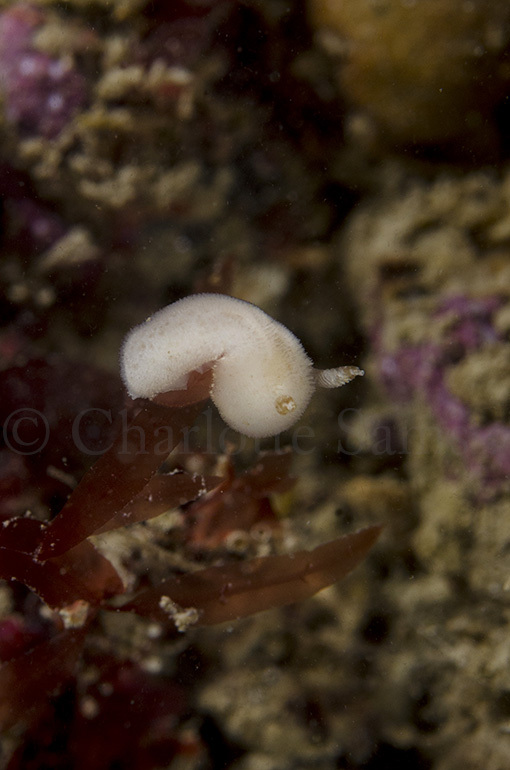 Hopefully I shall return to the Scillies some time soon for some underwater image making! 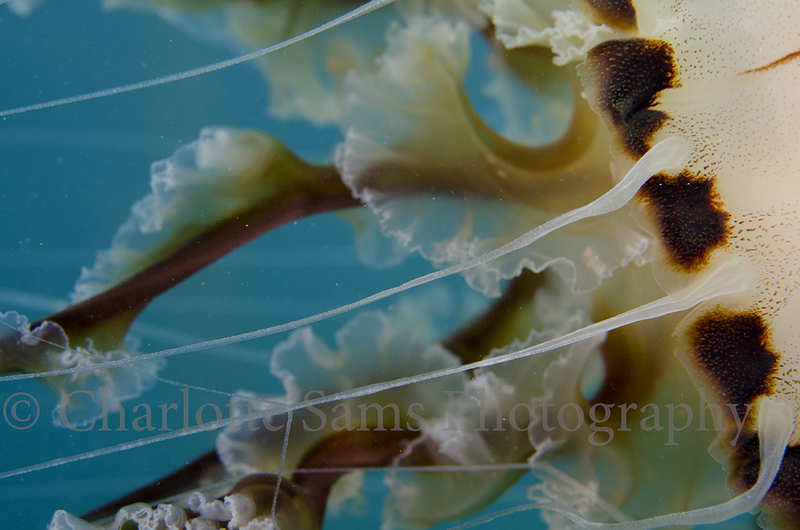 There’s still loads of these jellyfish around Cornwall, and therefore on a local dive the other day I spent a lot of time photographing them. For a change I’d decided to use a macro lens, which I haven’t used in a long time. 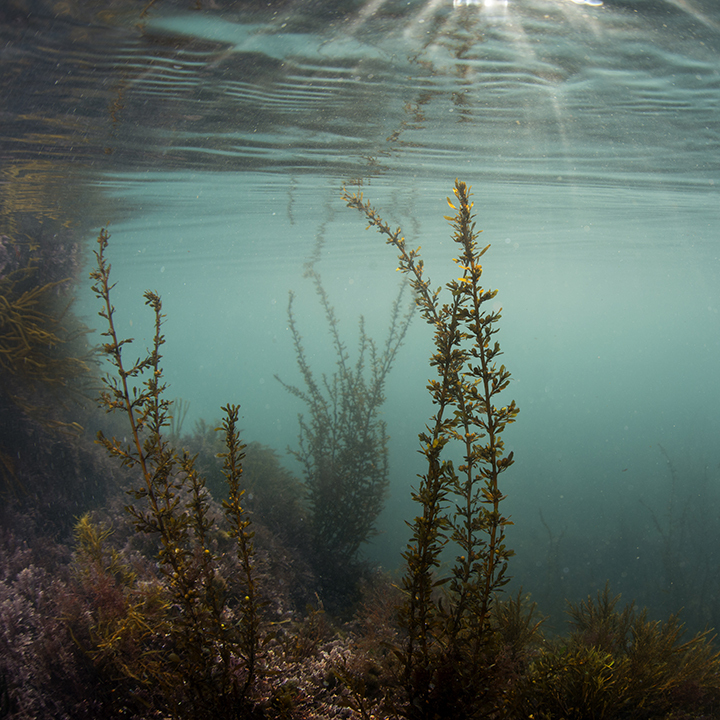 Working with the narrow depth of field with a subject midwater wasn’t easy, but as we spent over an hour underwater I had time to practice. 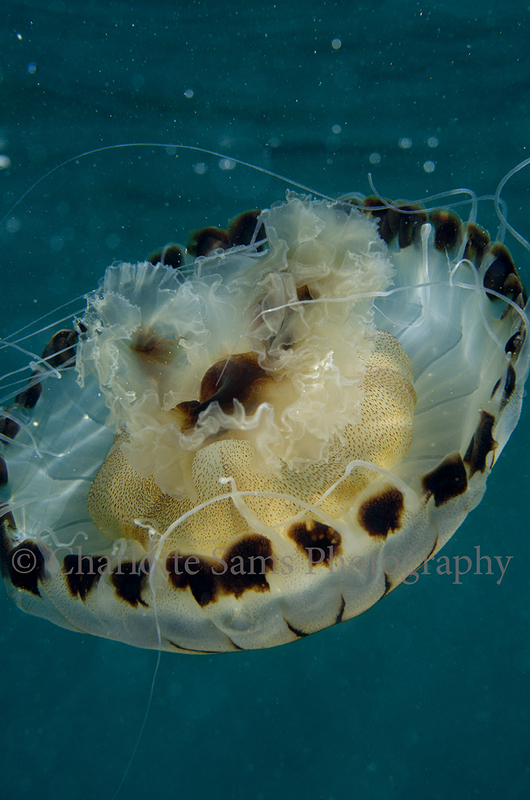 This post will focus only on the compass jellyfish, Chrysaora hysoscella. 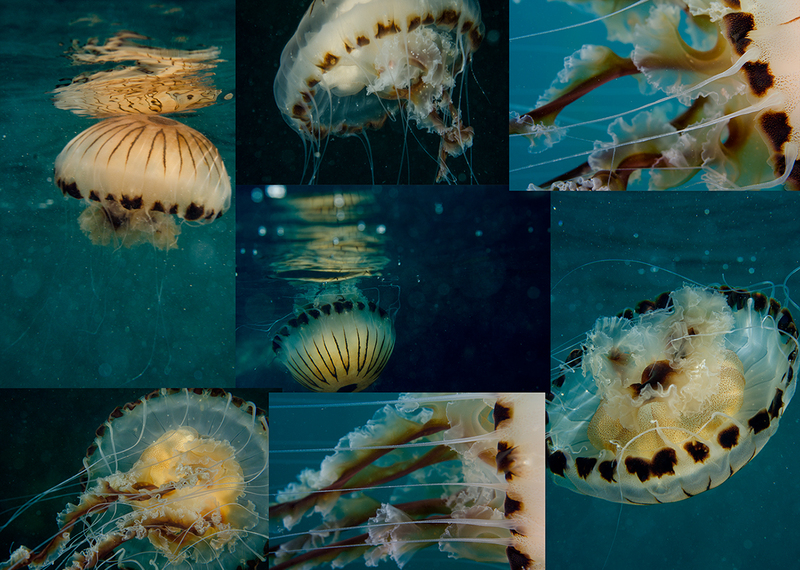 Although I did photograph other subjects and creatures, I wanted to collate a set of only compass jellyfish images. Different photographs may be posted later. 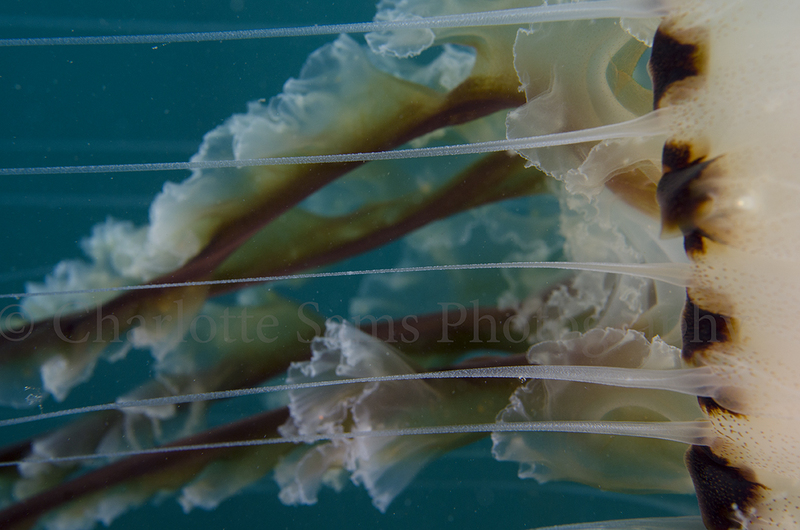 This is one of my favourite shots, slightly abstract, I love the diagonal tentacles cutting across the image. 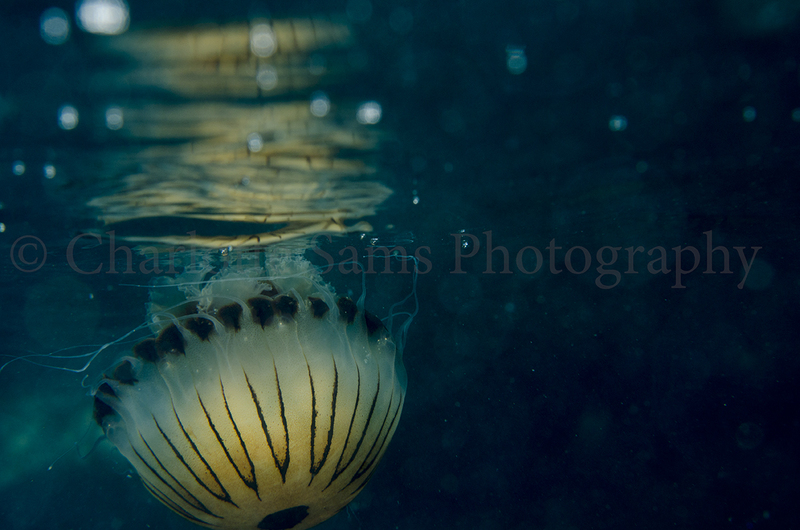 I floated alongside this particular jellyfish for a while, and took quite a few photographs. They actually move a surprising amount so trying to stay with them and photograph with such a narrow depth of field with a macro lens wasn’t as easy as I thought. I do love the tendrils of the tentacles and the way they flow. 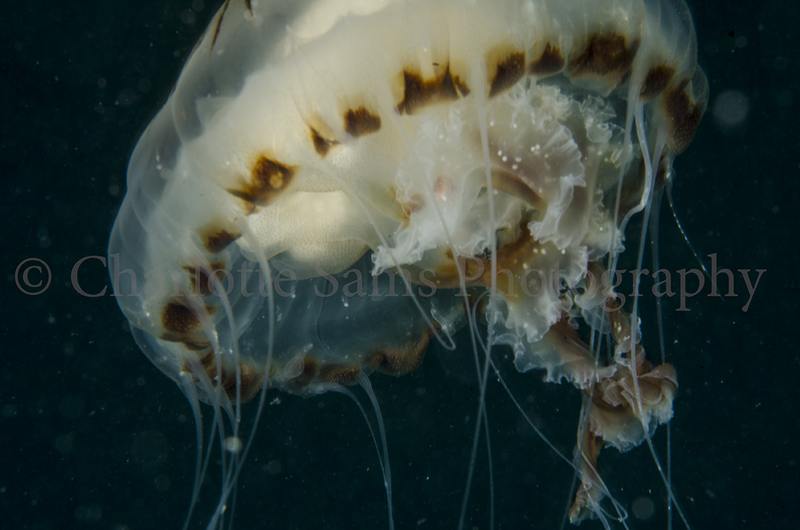 To show a different angle, I swum under the jelly. 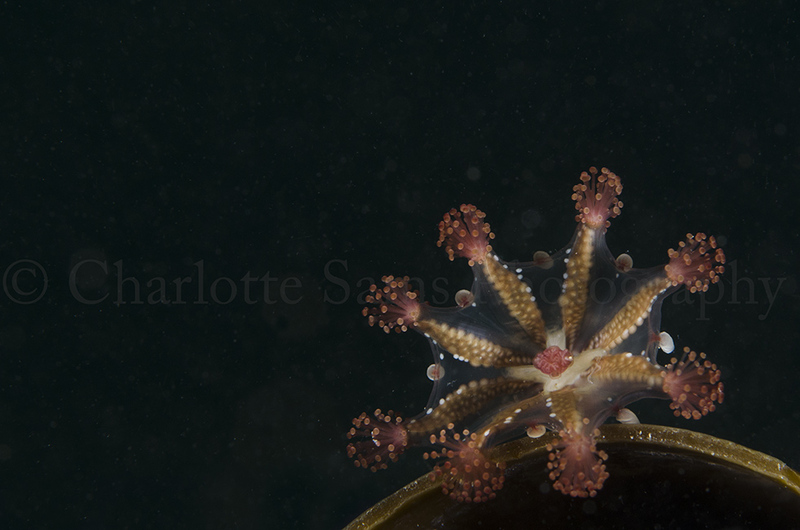 This image shows the underside of Chrysaora hysoscella; it’s mouth is located in the centre of this dome, between the four brown tentacles. 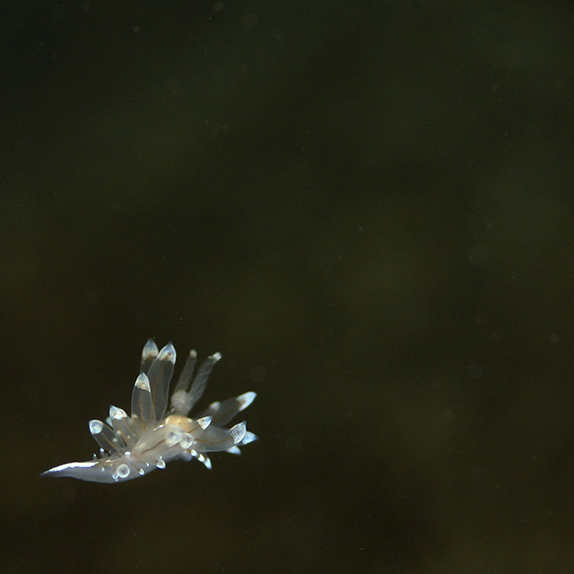 A few of the jellyfish would rise to the water surface every so often. When this happened their reflection was visible underneath the water level, so I tried to capture this. We’ve had some lovely calm, clear waters recently so I tried to make use of it! Another macro shot, this time a little more ordered and linear, these lines cut across very neatly, and cut up the image in a quite pleasing way. 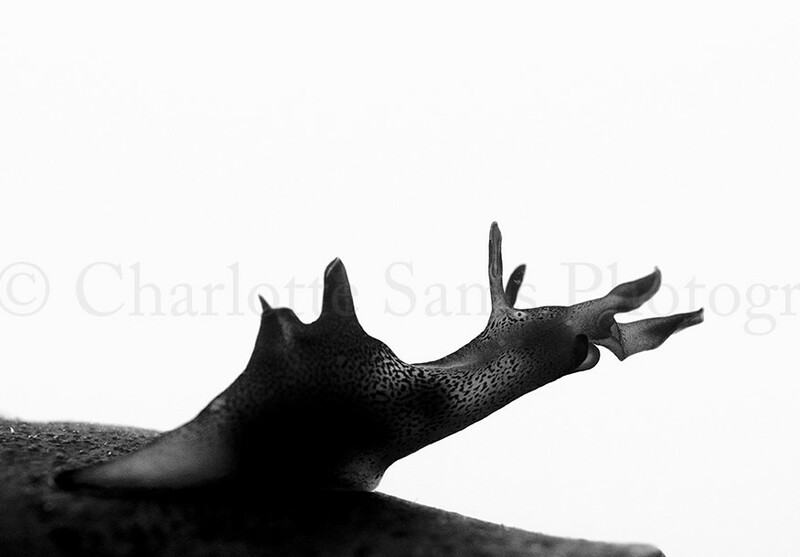 This photograph is another favourite, due to the addition of the natural light. 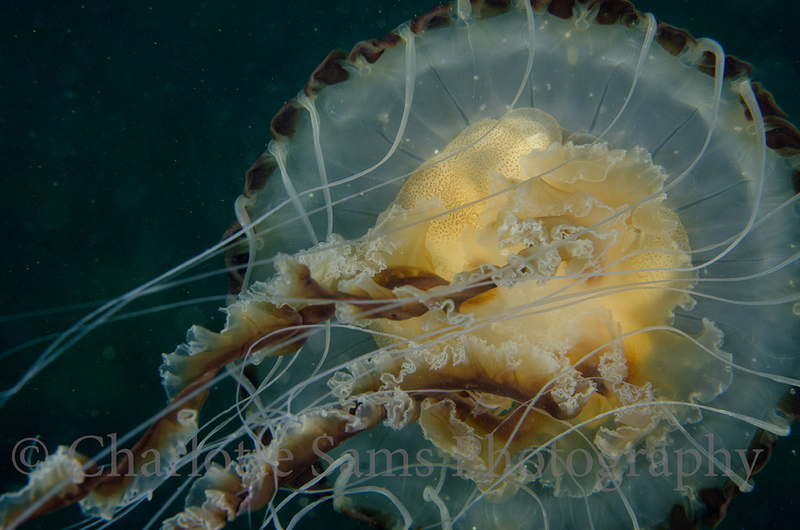 The jellyfish was obviously very close to the surface, therefore small bursts of sunlight have reflected off the jelly’s main body, adding unusual lighting, to work alongside the strobes I was already using to light the subject. This may look out of focus to some, but the effect is actually intentional. I wanted to experiment with using a fast strobe to capture movement, alongside a slow shutter to display motion blur. This was the effect. 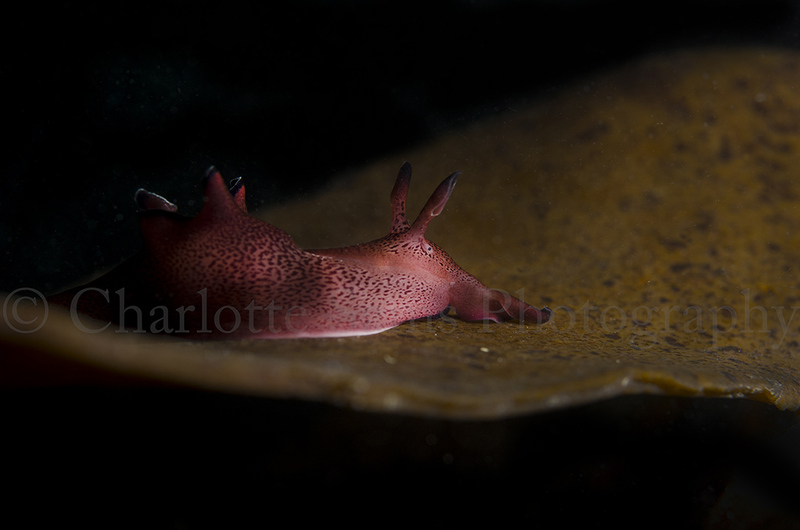 This effect usually is stronger with very fast oving subjects such as fish, but I love the soft feel it adds to the image. This was taken at a shutter speed of 1/30sec. Finally, another reflection image. 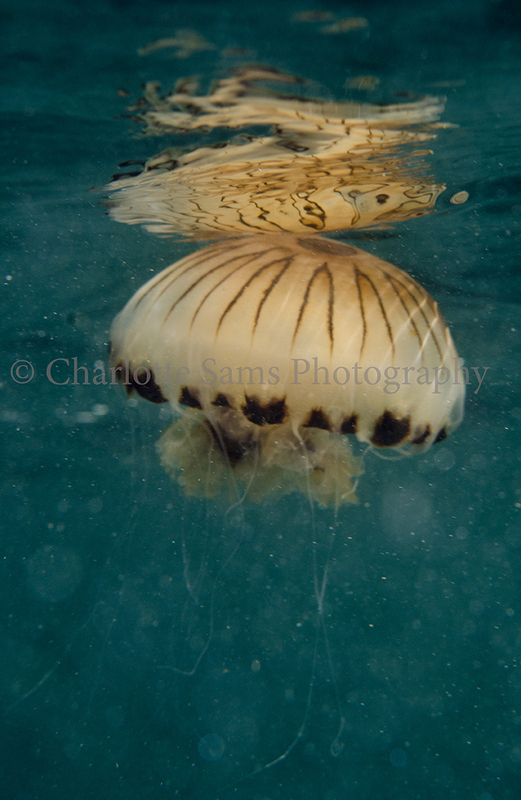 I chose to focus on the mirrored image on the water surface, rather than the actual jellyfish in the foreground. 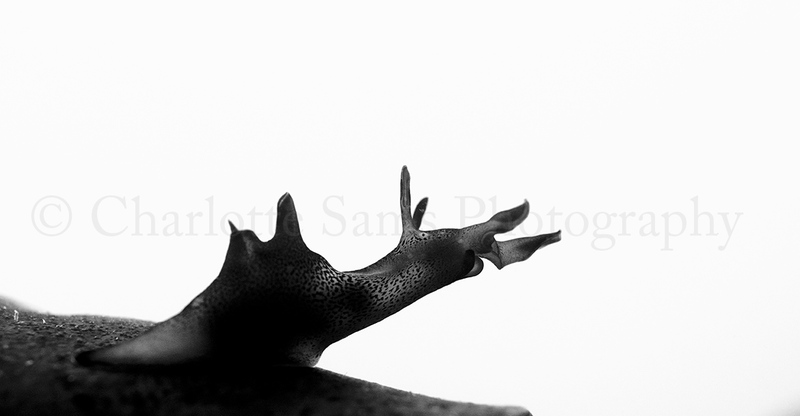 I am so happy with this image, in spite of, or possibly because of, all the imperfections. Some people may argue that the main subject is soft, or that the particles in the water are distracting, but I think it only makes the image more unusual and in turn, stronger. That’s all for now! Enjoy. I made a quick compilation of all the images together here, so you can see them all at once, as I realise this is a long post.